You are cordially invited private function at the Bondi Pavilion men’s toilets and change room. A voyeuristic experience of colour, music, eroticism and violence. A young bride is lured into a rich nobleman’s world – a beautiful trap with a smiling face, where the bonds of wedlock turn to shackles of abuse. Two of Sydney’s most innovative theatre companies present a contemporary exploration of Charles Perrault’s twisted fairy tale, transforming a forbidden location into an intimate site of theatrical beauty and horror. 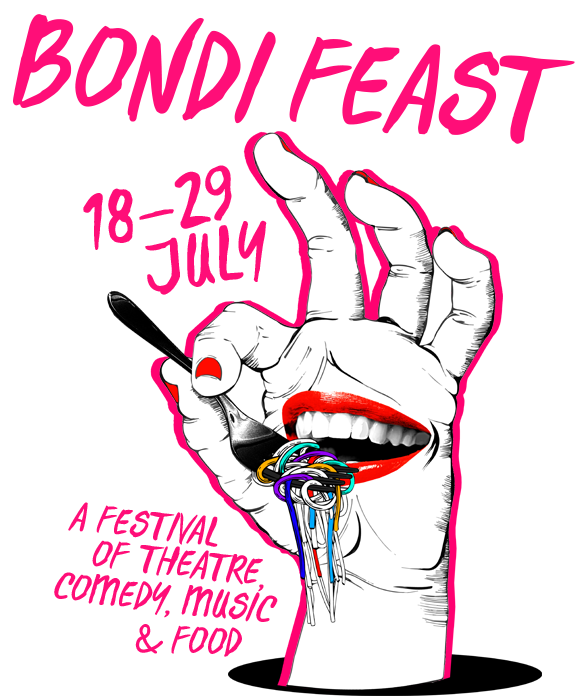 presented as part of bondi feast 2017. Bondi Feast 2017 was presented by Waverley Council at the Bondi Pavilion. fish and chips PROVIDED BY bondi surf seafoods. CHAI TEA PROVIDED BY STICKY CHAI.